I am Ewan Mathers and I live and work near Inverness, in the Scottish Highlands, as a wedding photographer. I specialise in being there to capture every part of your day, without getting in the way, or taking up time arranging endless groups of people. I photograph what happens, as it happens. I have attended ceremonies in churches, cathedrals, registry offices, hotels, castles, river banks, private estates, homes and barns all across the Inverness and the Highlands. Every wedding, like every couple, is unique and I reflect that in the images I produce. 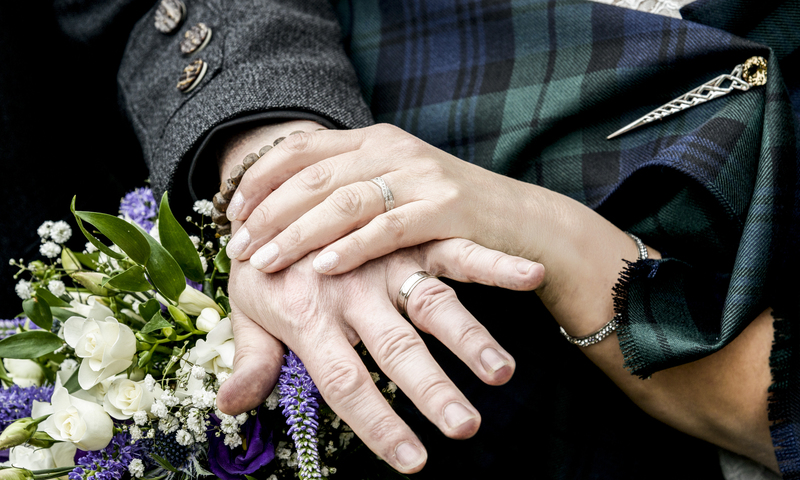 Inverness offers so much for a couple to choose from because there are virtually no restrictions on the location for your wedding. All you have to do is find someone to perform the ceremony and then decide where! The River Ness runs right through the heart of Inverness and the many bridges across it provide a great backdrop for photographs. There are also many fine hotels in the city such as The Waterside at Glen Mhor, The Kingsmills Hotel and The Mercure. If you are looking for a registry office wedding then Inverness has a wonderful modern building (that also houses the Highland Archive) right on the banks of the Ness! I have a very simple pricing structure, which can be adapted to your needs, which includes all the images from the day selected and edited with great care. If you would like to get in touch to arrange a chat, a meeting or to book your wedding then call or text me anytime on 0794 154 8214 or use the Contact Form.